Over the years, I’ve become more interested in more remote peaks and paths that are less traveled. Part of this is a desire to find quiet places to think and reflect; another part of it is to avoid the crowds that seem to be increasing year by year as hiking and climbing in the high country grows in popularity. When remote locales just aren’t in the picture, less traveled routes will have to do. So on a short Denver trip, I put the word out: Who wants to bag a summit over the weekend? 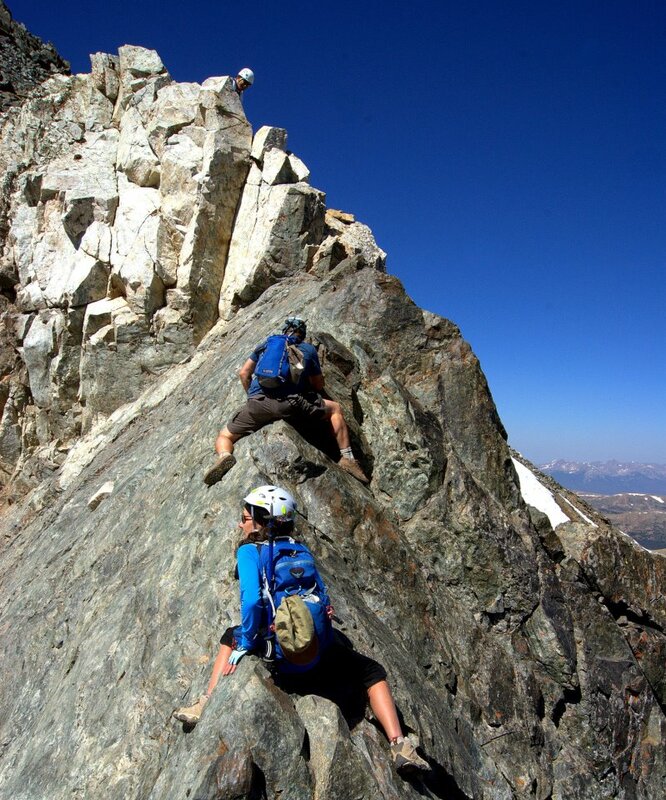 A friend of mine named Bill Wood popped up with a pretty decent solution: Let’s do Kelso Ridge on Torreys Peak. 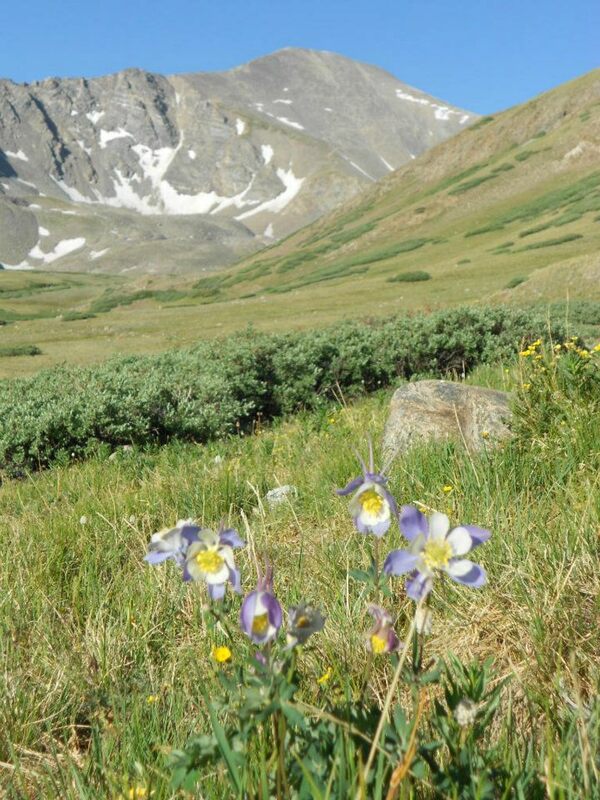 Torreys is a beautiful peak that sits in tandem with its taller but tamer sibling, Grays Peak. The trailhead is close to Interstate 70, and the drive from Denver is short. The standard routes up both mountains are walk-up hikes with little exposure, meaning both mountains are popular with Denverites wanting a good hike or hoping to break into the whole 14er shtick. That means the trails up Grays and Torreys are crowded in the summer. The trailhead parking lot is jammed with cars, and the trails often greet scores, if not a couple hundred, of hikers. Not really my thing. But that’s what makes Kelso Ridge a great alternative. 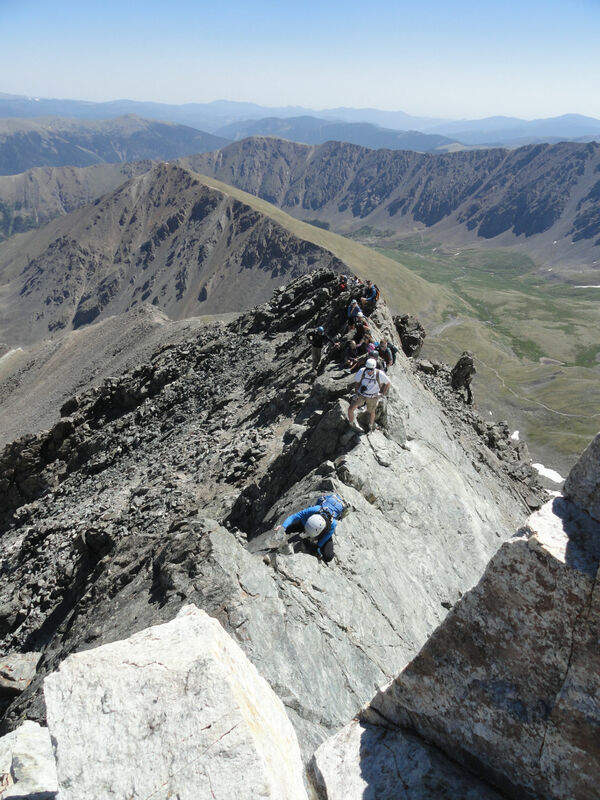 Kelso Ridge is a shorter, steeper and more difficult route used to gain Torreys’ summit. 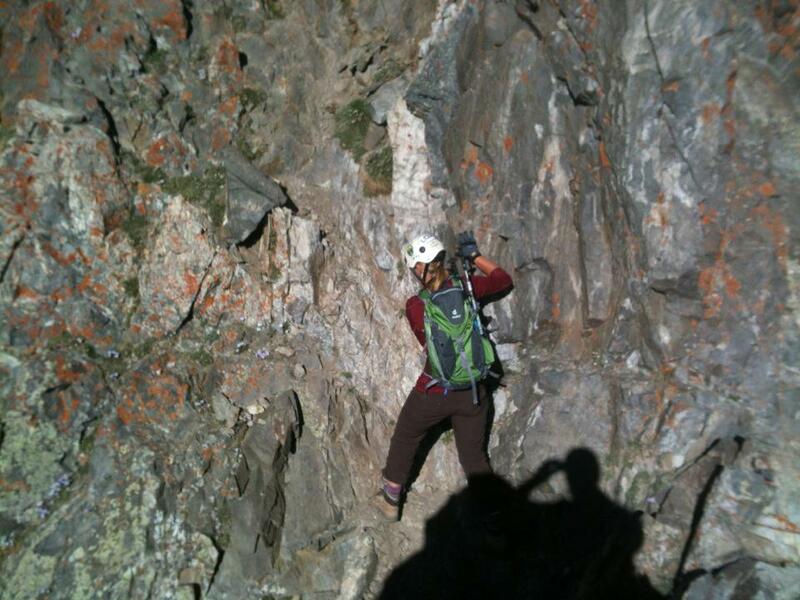 It’s also your only alternative to the standard route, unless Dead Dog Couloir is filled with snow. It’s melting out fast, and its runout is vanishing upward rapidly. The ridge has a reputation. For starters, it isn’t a walk-up. Going up the ridge means you’ll be confronted by a few Class 3 walls to climb. Ledges leading to these walls are often narrow and exposed. The ridge also gets extremely thin in some points, forcing you to take some care in going over the top during wind gusts. And then there’s the Knife Edge: a solid but exposed chokepoint that is the crux of the route. You can mount it like you were straddling a horse, and there are steep drop-offs on either side. The Knife Edge has a reputation for dizzying exposure that likely scares many people away. 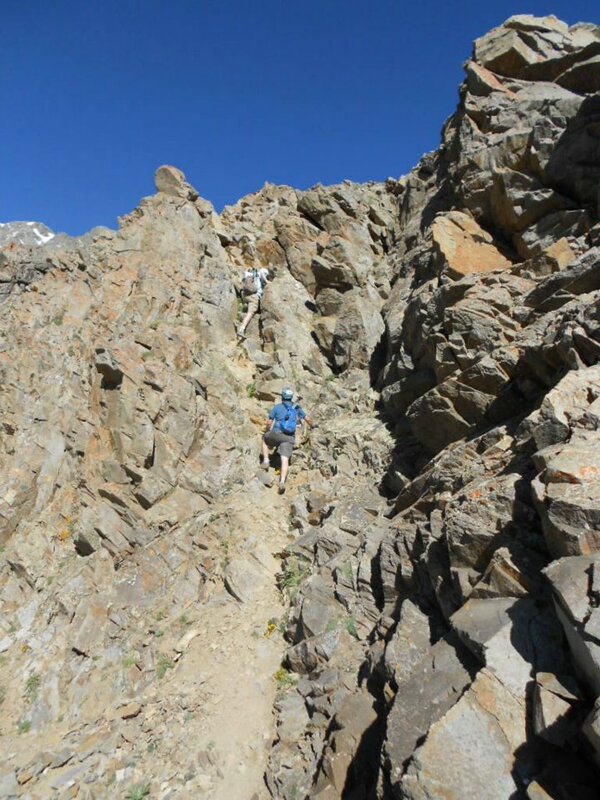 I’ve faced similar climbs and traverses before, but not on the scale of something like Torreys. An airy ledge on, say, Granite Mountain in Oklahoma gives you dropoffs of about 20 to 40 feet. On Torreys, like most peaks in the Rockies, that dropoff could be a few hundred feet or more. Scale means everything, particularly when it comes to the mental side of things. The group I was with was pretty seasoned. 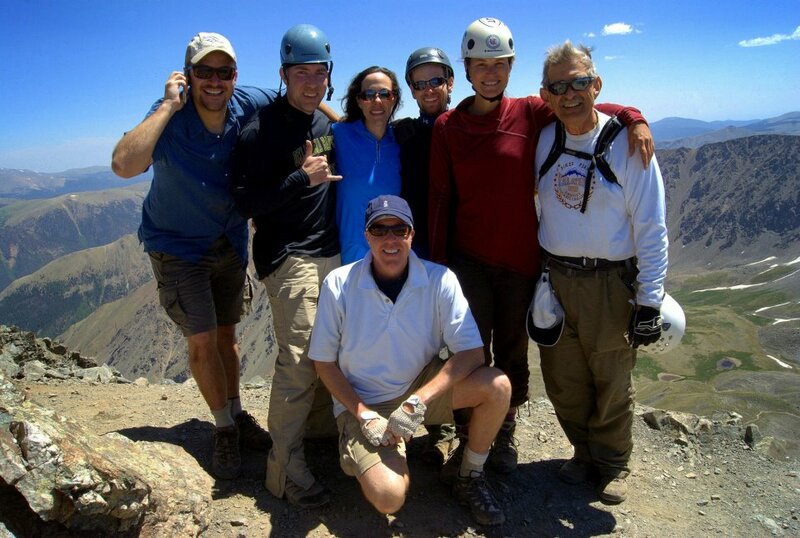 Bill has more than 60 14er summits, including peaks he’s done more than once. Others had high numbers as well. They were avid hikers and climbers, all in good shape. So to sum it up, they all had more experience and were in better condition than me. It takes the pressure off when you know you’ll be bringing up the rear no matter what. 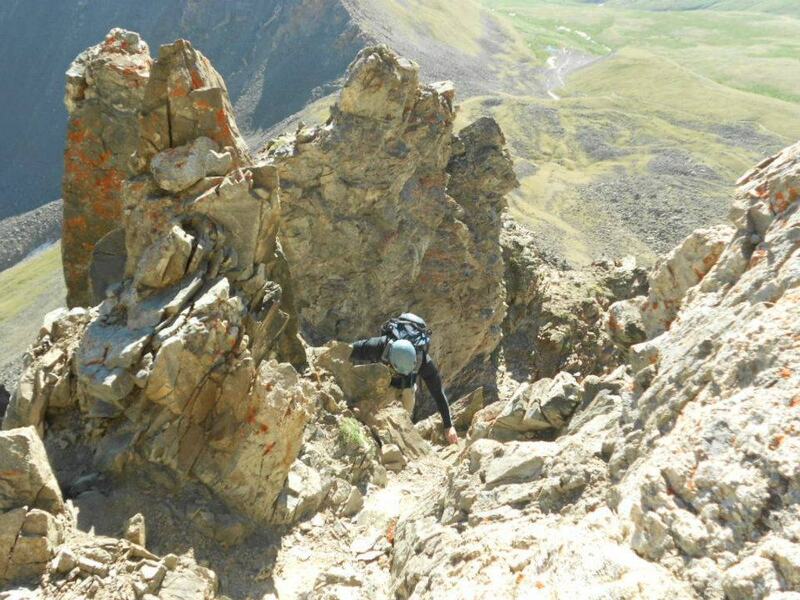 Beth negotiates a ledge leading up to one of the Class 3 walls on Kelso Ridge. Notice how she’s taking care to coordinate hand and foot placement. There are a few things I’d like to note about Kelso Ridge. First, the hiking portions are steep. I’d put them right up there with Mount Belford, which is a real leg/lung buster of a hike. Second, the Class 3 climbs seemed pretty solid and not that tricky. Route finding can sometimes be an issue, but it all seemed pretty straightforward, solid and fun. Once we tackled our first wall, we were warmed up for what was ahead. Third, the ledges are actually the areas of most concern. When we’d approach a wall, it often meant hiking up a broader part of the ridge, which would then get skinny leading up to the walls and gullies we climbed. Many times these were thin – maybe a couple of feet wide or less. They were also sandy with loose rocks, and at times angled down. I found myself taking my time to find hand and foot placements while negotiating these before finding more solid footing on the Class 3 sections. Last, the Knife Edge isn’t what you think it is. While the drop-offs on either side are significant and you can’t rush through it, the truth is it isn’t as spooky as it’s made out to be. The section is about 30 feet, its upward angle is not that steep and the rock is solid. Scooch across it or bear crawl, either way, it’s manageable when it’s dry. If it were wet or the winds were up, it would be a different story. But you get the drift. Below are a couple of shots from the knife edge. The real trick, in my opinion, comes at the end of the Knife Edge. It ends abruptly at a short tower of white rock. Dismounting the Knife Edge and gaining the white rock takes some care, as it is here that you reach the most exposed part of the route. Once getting up to the white rock, you drop down slightly to traverse a 20-foot section of a thin, exposed but solid ledge. Here’s where you again need to take a little time finding places to put your hands and feet. A slip here would not be pretty. Below is a shot looking back on the white rock ledge. Looking back on the white rock ledge traverse. It seemed to me to be the most exposed part of the route, but the rock is solid. There was a surprising number of people on the route, which brings to mind a fourth point. Bring a helmet. Several people in other groups did not, and one young woman learned a lesson when her head got dusted and pelted with small bits of debris kicked down on her from above. Larger stones would have ended her day. On two occasions, I saw and heard larger, more serious rockfalls that released on their own or were kicked loose by climbers. I’ve been asked if a helmet is needed. Do what you want, but I say bring the brain bucket. 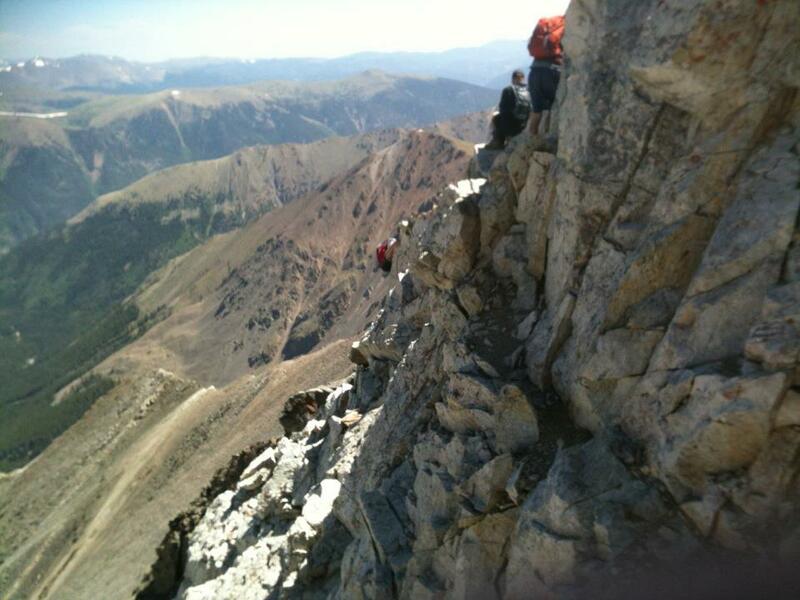 Looking back down the ridge and at Kelso Mountain, a ranked 13er. Once the last ledge is crossed, all that’s left is a short but steep hike to the summit. Members of my group cheered me on as I struggled those last couple of hundred yards. Once at the top, we were joined by a whole load of folks who’d ascended the standard Class 2 route. Torreys is a busy peak. What’s great about Kelso Ridge is its variety. You get to see the ruins of an old mining shack when you start out. You get your hiking in. You get to climb at least three rock walls before hitting that Knife Edge. And the views are awesome. The sweep of the ridge as it goes back toward Kelso Mountain is sweet, and you can make out several iconic mountain scenes from the top, such as the Sawtooth Ridge between Bierstadt and Evans, or Mount of the Holy Cross further away in the Sawatch. Looking toward Grays Peak from Torreys’ summit. 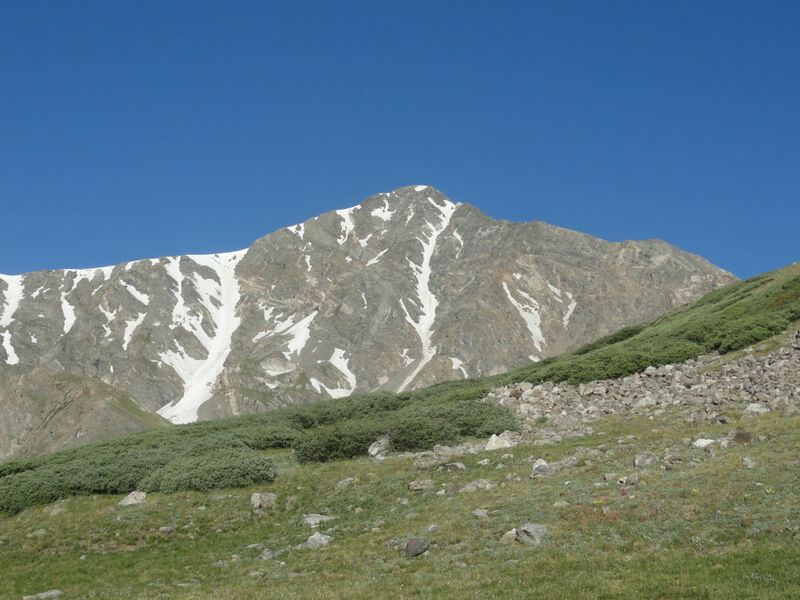 Hiking down, Torreys was an amazing contrast to the deep blue skies that shone that day: Its pyramid-like, gray form gashed in two places by snow-filled gullies makes it one of the most picturesque peaks in the Front Range. Hitting Kelso Ridge also opens doors. If you pass this test, suddenly a whole family of other mountains beckon. 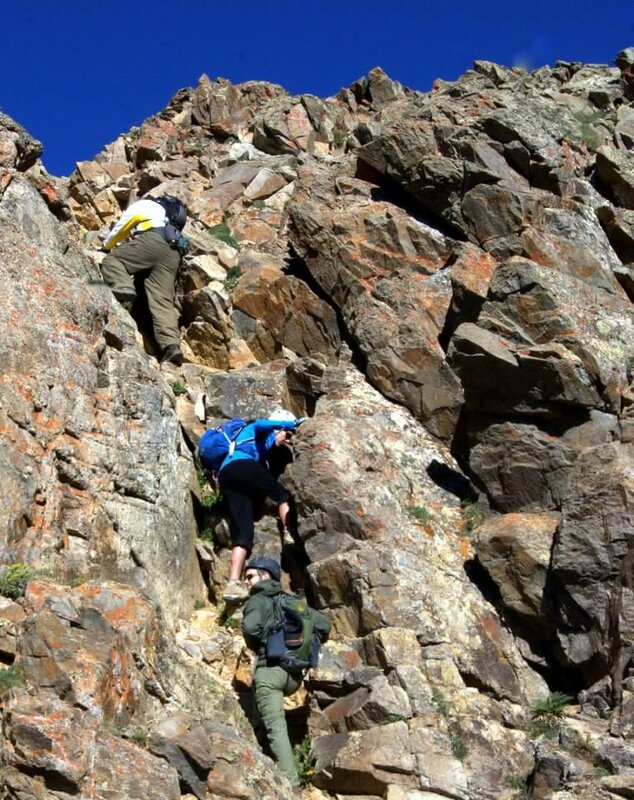 In my case, I hope they’re in those remote areas I love, and filled with challenges and sights something akin to what this Colorado classic hike and climb offered up. I’ve got more thoughts on my experience on Kelso Ridge, particularly as it relates to training and overcoming physical and metal obstacles. But that will come later. 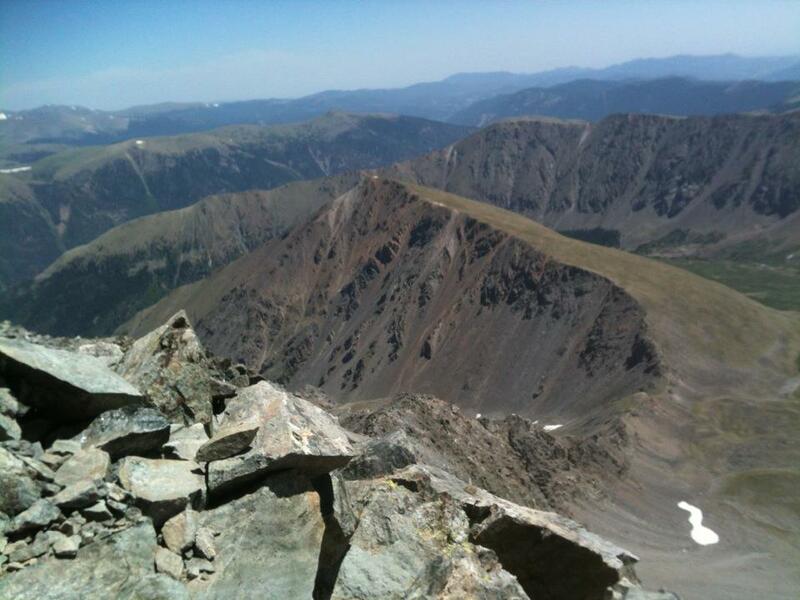 A look at Torreys Peak from the saddle between it and Grays Peak. GETTING THERE: Take Interstate 70 to the Bakerville exit, then go south over to the dirt parking area near the start of Forest Road 189. Reach a junction after 1 mile – stay straight and follow the sign for the Grays Peak trailhead. Continue another 2 miles to the trailhead. 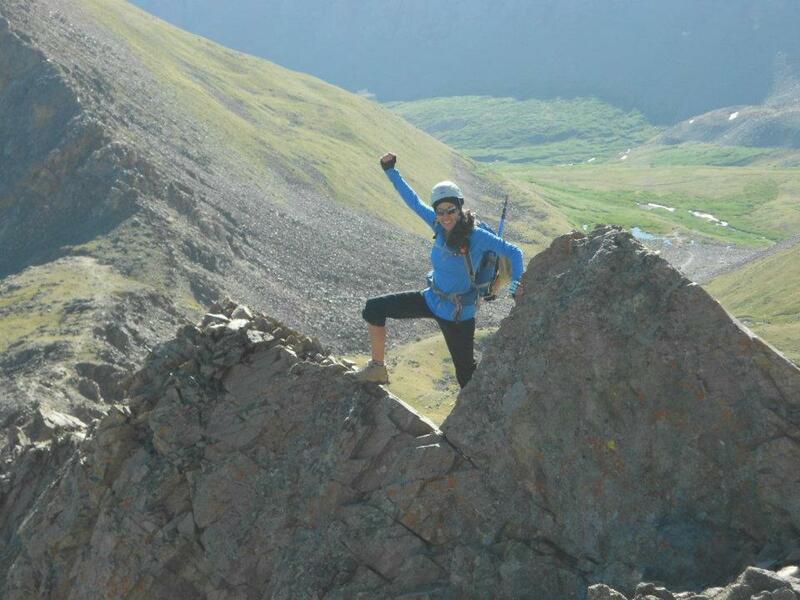 ABOUT THE ROUTE: From the trailhead, hike 1.75 miles up the Grays Peak Trail. You will come to a point where a smaller trail exits the main trail to the right. Take that spur, which will lead you up to steeper hiking up toward the remains of a mining structure. The ridge will be in view. Hiking up to the ridge, you will need to pick your routes carefully. The entire route includes three main Class 3 rock wall climbing sections. Carefully navigate the ledges leading up to these walls, then choose your line. No climbing section needs to exceed Class 3, though it’s not hard to get off route and end up in tougher climbing. 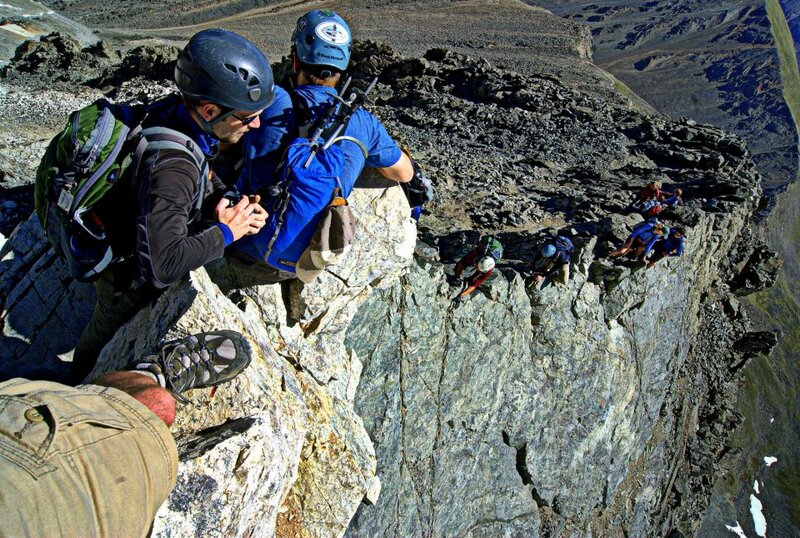 The final pitch before the Knife Edge includes an exposed ledge overlooking Dead Dog Couloir. After navigating this, climb the rock and regain the ridge crest. The Knife Edge will be before you. It’s best to ascend the Knife Edge at its crest, either by crawling up its length of bear-crawling it. At the end of the Knife Edge, you’ll be confronted by a white rock tower. Climb on to the tower and go right, where you will see a thin, exposed ledge that dips down slightly before going back up. Take care here, as the drop to your right is significant, but the rock is solid. Once you’ve traversed the white rock ledge, only some steep Class 2 hiking remains. The summit is about 200 yards away. The easiest way to descend is to take the standard route down to the saddle between Grays and Torreys, then follow the trail down. Your other option, of course, is the shorter and steeper descent of Kelso Ridge. For a more detailed description of the route, go to this 14ers.com link. 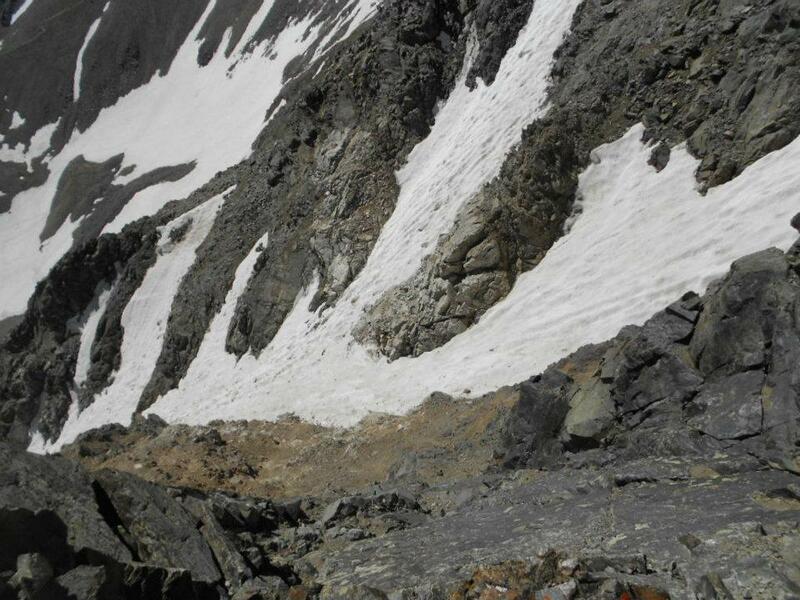 EXTRA CREDIT: When snow fills Torreys’ gullies, you can nearly reach the summit by going up Dead Dog Couloir. It’s Class 3 on moderate snow, but nears a 50-degree pitch close to the top. 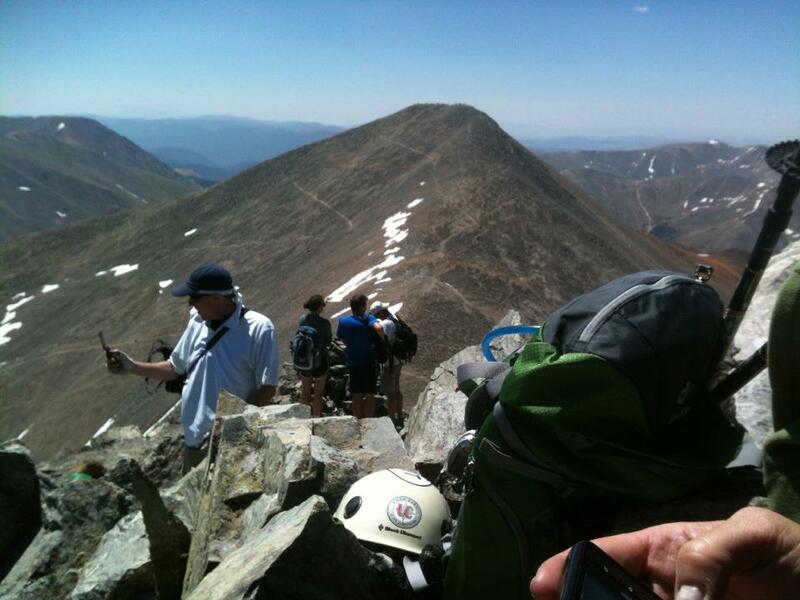 Also, you can add Grays Peak to your day after summiting Torreys. 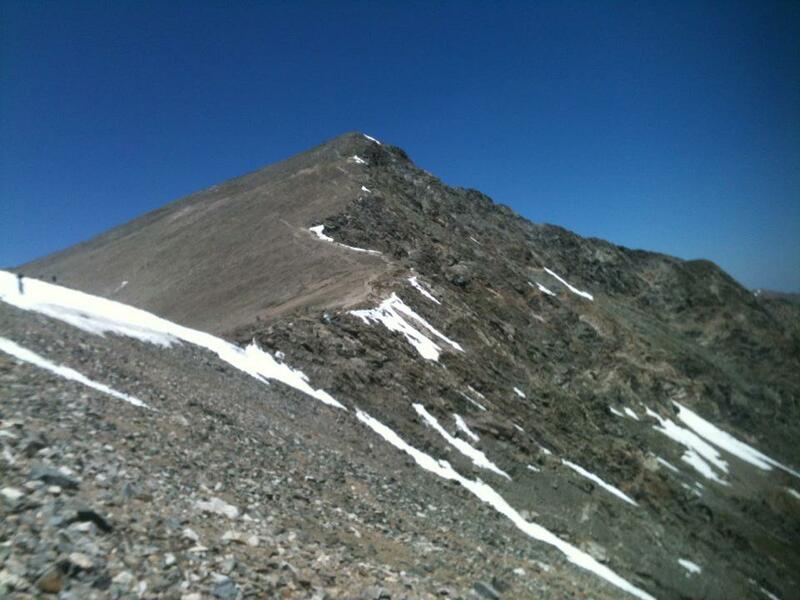 Just follow the standard route down Torreys’ summit, then hike up the trail leading to the top of Grays. The distance between the two summits is about a half mile, and you will gain somewhere around 600 feet from the saddle to Grays’ summit. 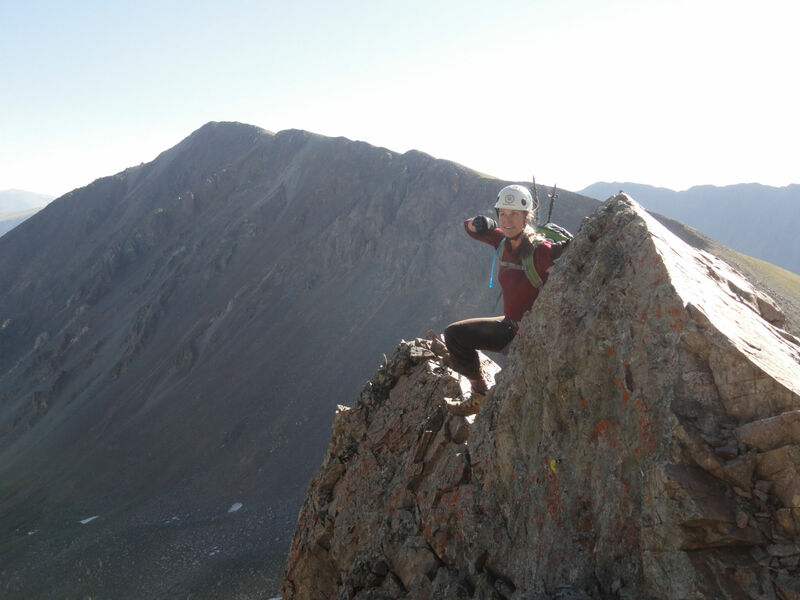 This entry was posted in climbing, hiking, mountaineering, outdoors, travel, trip reports and tagged 14ers, climbing, Colorado, fitness, Grays Peak, hiking, Kelso Ridge, mountaineering, nature, outdoors, Torreys Peak, Travel. Bookmark the permalink. Woohoo, Kelso’s is awesome! I think you’ll really like Wetterhorn too. Nice job! Wetterhorn is on my list! I think I’d also like to give the Crestones a shot soon, and the SW ridge of Sneffles interests me as well. Wetterhorn will be a piece of cake for you after Kelso. Only one major climbing pitch, really, and it is class 3. But it is a stunning area, as you know, and sold rock. Can’t wait! I love that area, and for me Wetterhorn=unfinished business. Both of those sounds awesome. I need to block off some time to get up there to do more of this for sure. And I’ll be we can get a pretty great crew! USAKeller seems interested.